Are you an Occupational Therapy student looking to complete your Elective placement abroad? 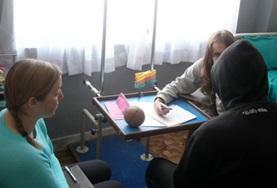 We offer exciting tailor-made Occupational Therapy projects in a number of developing countries! Challenge yourself while acquiring new skills and learning about different healthcare techniques and approaches. Many of the placements and countries in which we work have limited resources, which may be different to what you are used to seeing back home. Furthermore, many patients struggle to access treatment, either due to a lack of service provision or funds. As a result, conditions tend to be in a more advanced stage and will require more work to rehabilitate. Depending on the destination, you can choose to work in a hospital, schools, care centres or even in private homes. You will encounter a range of patients with different conditions, from disabled children to adults recovering from various surgeries and conditions. Your role will be to shadow and observe trained therapists, providing assistance where necessary. Depending on your experience and enthusiasm to get involved, you may be given more hands-on tasks. Friendly and qualified staff will discuss case-studies with you, answer questions and provide advice. If you are not an Elective student or would rather take part in our standard Occupational Therapy projects, please see our Occupational Therapy projects page. Morocco If you choose to take your Occupational Therapy Elective in Morocco you will be working in schools and day care centres. As you enhance your skills you will really be making a difference.